The device permits electronic simulation of sunrise and sunset. It has been designed for breeders of exotic animals (terraria). 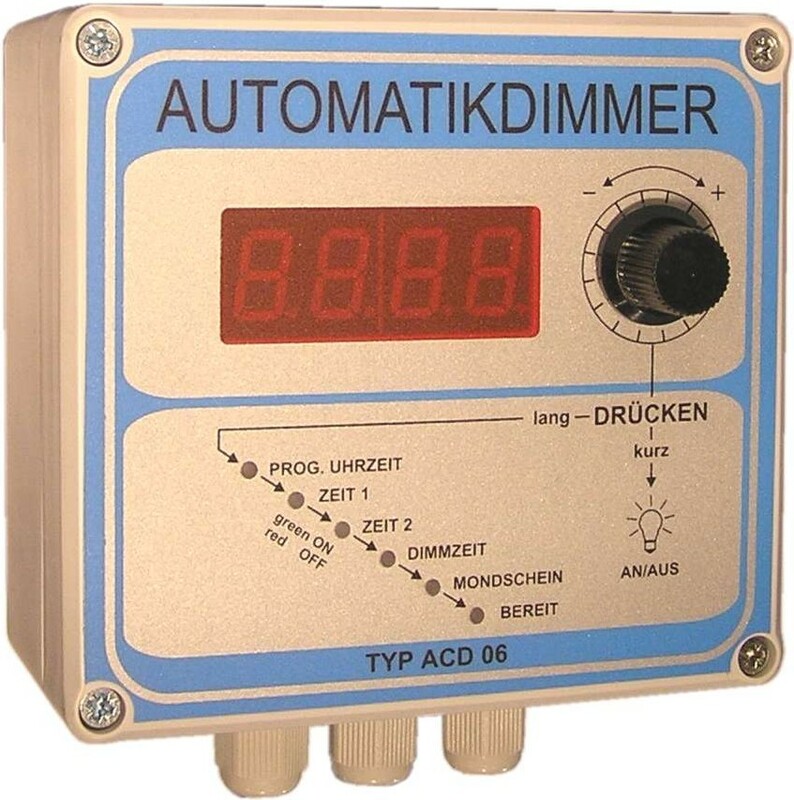 It permits adjustments of the starting time and the duration of the brightening as well as the starting time and duration of dimming. Power supply voltage: 230V AC. Output 1-10V; Dimming/brightening time: 1...179 min. 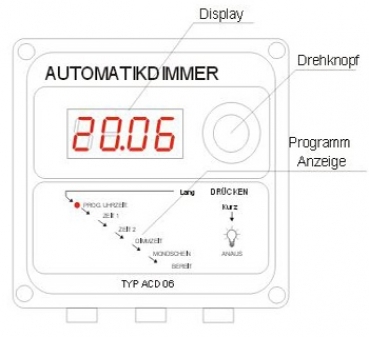 User manual and automatic dimmer TYPE ACD04 ACD06 in PDF format. Click here to start the download. Description: User manual and automatic dimmer TYPE ACD04 ACD06 in PDF format. Click here to start the download. 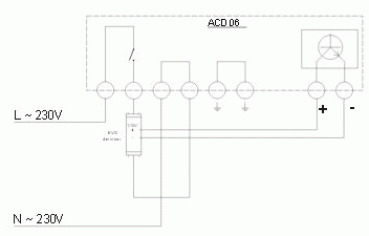 Video instructions how to program the automatic dimmer. Old batteries do not belong in household waste. You can return used batteries free of charge at our shipping depot. As a consumer, you are legally obliged to return used batteries.